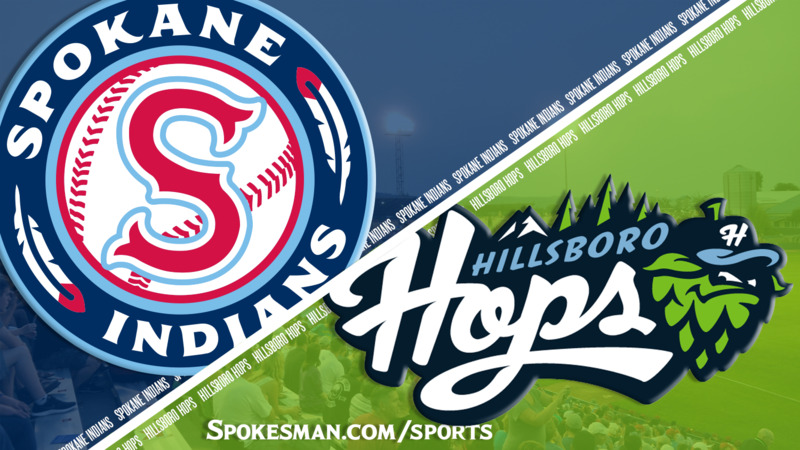 HILLSBORO, Oregon – Jorge Perez drove in his second run of the game with two out in the ninth inning and the Hillsboro Hops defeated the Spokane Indians 3-2 on Saturday night in a Northwest League baseball game. Perez’s single scored pinch-runner Dan Swain from second base to cap a two-run rally against Indians reliever Emmanuel Clase, who had not allowed an earned run in five previous appearances. Joey Rose opened the Hillsboro ninth with a double and was replaced by pinch-runner Jose Caballero, who scored from third on Francis Martinez’s one-out single. Swain replaced Martinez and moved to second on a fielder’s choice before scoring the walk-off run. Perez’s RBI single gave the Hops (10-6) a 1-0 lead in the second inning. Curtis Terry’s two-run home run gave the Indians (6-10) a 2-1 lead in the third inning and that scored stood until the bottom of the ninth. Indians starter Seth Nordlin allowed one run in 5 1/3 innings. Chandler Sanburn and Sean Chandler both pitched 1 1/3 scoreless innings. The Indians have lost the first two games of the five-game road series after winning four of their last five on their most recent homestand. Published: June 30, 2018, 10:52 p.m.